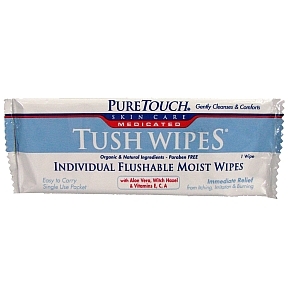 1 flushable wipe in individually sealed package. Immediate relief from itching, irritation & burning. With Aloe, Witch Hazel, Vera & Vitamin E, C, A. Organic & Natural Ingredients. Paraben free.